White roses have always been the preferred color for weddings and color that many brides have stuck to throughout the years. 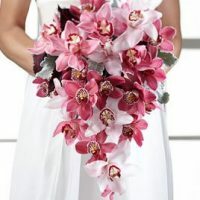 Other colors come into play for several reasons, a question of purity, preferred color over white, a color that won’t show dirt as easily, or a color that will match with the theme of the wedding. 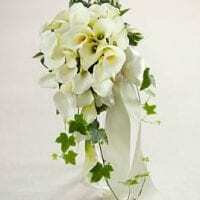 White weddings are and have always been classic, the look of purity during a ceremony is a great look, whether or not that is the case, but for a bride to have and to hold a white roses wedding bouquet is extremely symbolic in a wedding. 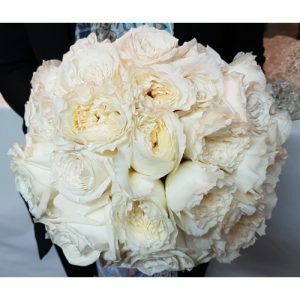 If you are a bride, matron of honor, maid of honor, or just someone wanting to get a white roses wedding bouquet then you can get it from a local flower shop in Toronto, or from your local florist, however, if you decide to get it from Toronto Bulk Flowers, then you can do so and get a wider variety than you had anticipated. This addition will be greatly appreciated and noticed by everyone. Even if you are having a wedding with a different color scheme, then the white will just add the touch of class that it requires and get the notice that it deserves. 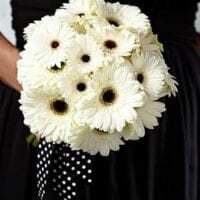 When you begin to wonder where to buy white roses wedding bouquet in Toronto, you can begin by looking at bulk flowers Toronto, or wholesale flowers Toronto and order more than you normally would. 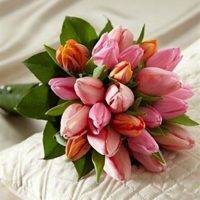 If you choose to get Toronto wholesale flowers for your wedding, then you can create more varieties by adding different types, or colors to use with your white roses wedding bouquet to get a beautiful display of colors. You can coordinate those colors with other items in your wedding to get the aesthetic appeal most brides and event planners crave.